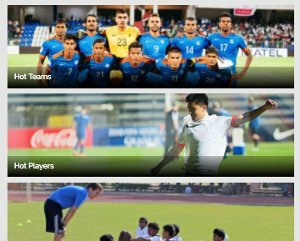 Elsewhere Chennai City host NEROCA and visit Aizawl while Gokulam take on Indian Arrows. 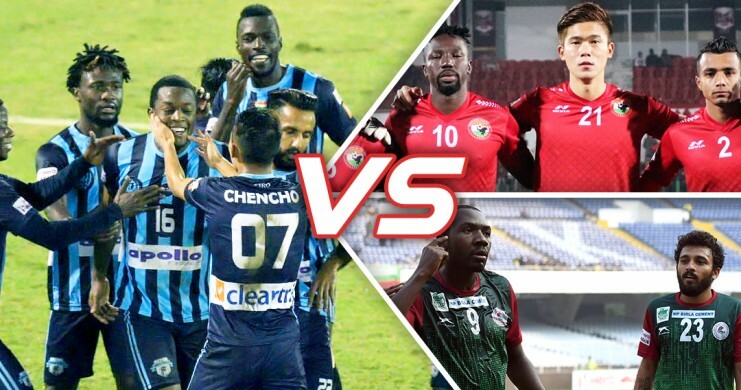 Yet another exciting week is upon us in the I-league with some of the notable clashes being the in-form Chennai City FC hosting NEROCA FC at home and the big hitters Minerva Punjab travel to face Mohun Bagan. A lot could change over a week’s time and the league standings are starting to be a lot clearer now as to where the teams might end up. Last week of I-League was exciting to say the least. 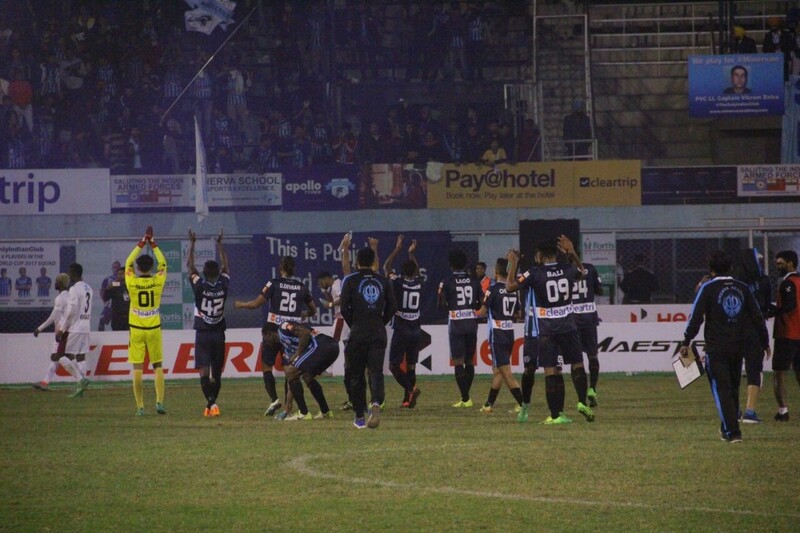 9th placed Chennai City FC beat Mohun Bagan 2-1. To make matters worse for the Mariners, Chennai City were down to 10 men and they played some very brave and an attacking brand of football away from home. This defeat saw Sanjoy Sen being sacked by the Mariner’s management and they were to appoint Shankarlal Chakraborty as the interim manager. Minerva are yet to face Gokulam in the league and a win shall help them close the gap to the top where East Bengal are set at the moment. Date & Venue: 9th December/ Jawaharlal Nehru Stadium, Coimbatore. Chennai City FC are slowly but surely hitting their stride in the league. Their last three away games has yielded them 7 points. In the entirety of last season, they had just one away win and they’ve already bettered that record after their recent historic win against Mohun Bagan. The win saw the Mariner’s coach get sacked and for 10 men Chennai City play that well against the Kolkata Giants, it is only a sign of things to come for Soundarrajan’s men. Chennai city have done well to recover from their bad start to the season and are now 7th with 8 points in the league with Junior Joachim tied for top scorer with 5 goals. Their only problem of conceding lackluster goals has also been minimized with their keeper Uros who is in top form at the moment. NEROCA FC have been extraordinarily good this season. They opened the season with a loss against Minerva but ever since then they have put up a good run and are undefeated in 6 fixtures. In the 7 games that they’ve played, a stand out trait is that they’ve managed to score the first goal in five of those matches. This shows how strong they are in the early phases of the game. Sitting in 2nd place with just a 3 point gap to the first position, NEROCA will look to beat the South India outfit to move closer to the top. Subash Singh will be looking to add to his goal tally against Chennai. NEROCA will have to be on their game throughout the 90 minutes as Chennai have shown how potent they can be if oppositions switch off. Mohun Bagan lost their manager Sanjoy Sen after 10 men Chennai City defeated them 2-1 in a clash that would’ve ideally helped them to get their season back on track with a win. Mohun Bagan are in one of their worst ever run of results in the competition. With no wins in 4 matches (as per 6/1/18), Mohun Bagan are in a tight spot. Having drawn 4 games in the league, it has hampered their performances and has dragged them down the table to 5th which puts them 7 points behind arch rivals East Bengal. 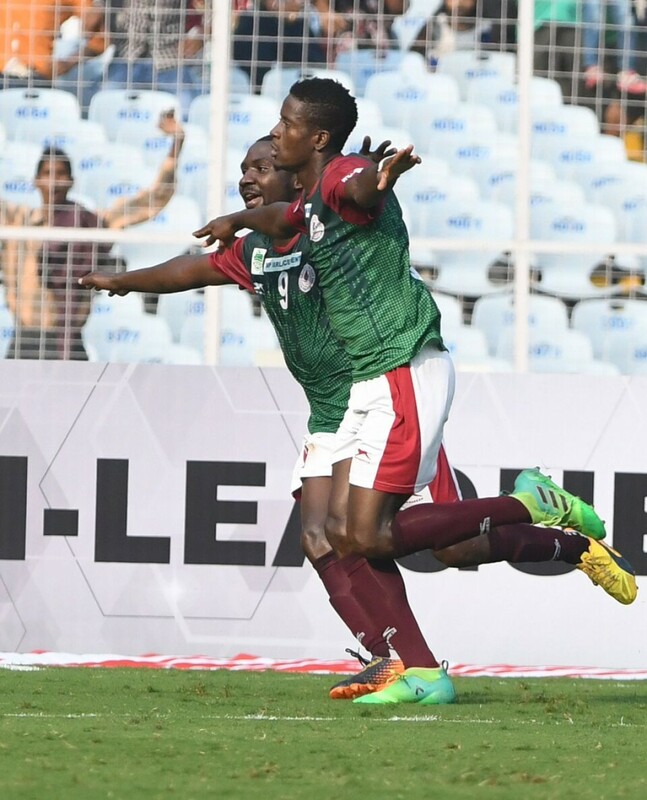 Mohun Bagan have the upper hand in H2H games with both the results going their way in the last year’s edition of the I-league but Minerva showed a very mature side this time around, drawing their first match against Mohun Bagan this season. Minerva Punjab needs to be vary of Dipanda Dicka’s threat in front of goal and will also have to work exceptionally hard to break through the Mariner’s back line which has 3 clean-sheets so far this season, the 2nd best record in the league. Minerva Punjab are coming of the back of a defeat against defending champions Aizawl FC and will want to get their season back on track against Gokulam Kerala before facing the Mariners. Minerva have 2 games in hand and are just 4 points below league leaders East Bengal. Should they win their game against Gokulam Kerala and get a result out of this fixture, they will move into touching distance of the league leaders. 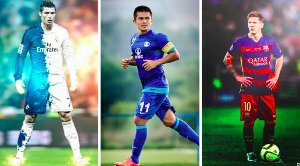 The I-league debutants are still acclimatizing to the league. With a poor record of just 1 win in 6 games and with just 3 goals in the season so far, Kerala have got a lot of work to do before they can start moving higher up the table. They are coming on the back of two defeats and are yet to face Minerva at the time of writing of this article. Their performance at home has been questionable as well with 2 big defeats and 1 draw. Their front line has been quite worrisome for the Kerala based outfit and if they were to get something out of his game, they will need to step up on all fronts. Indian Arrows have been a tad better than Kerala this season. With their free-flowing attack, they have been causing a lot of threat to the opposition defenders even if they have been on the losing side in a majority of the games. Aniket, Rahul and Nongdemba have been exceptionally good in this season and will cause a big headache to the backline of Kerala. The match looks like it could be an exciting watch from a neutral’s perspective with both teams going at each other with nothing to lose. Aizawl FC have had a rollercoaster of a season so far. They’ve shown a bit of inconsistency in the early days of the season but seemed to have buckled up now. With 3 wins in 5, they are sat in 6th, one position above Chennai City FC. They are yet to play Mohun Bagan at the time of writing this article and that result could change the importance of this fixture in more ways than one. Aizawl are on the back of a victory against Gokulam Kerala which saw them win convincingly at the EMS Stadium. The head-to-head record in I-League against Chennai City is 1-1 with both teams picking up a win at their respective home grounds in the last season’s edition of the I-League. Chennai City are riding high after their recent away performances. They play NEROCA FC at home before facing the defending champions in the Rajiv Gandhi stadium in Aizawl. Chennai City’s front line or Murilo and Joachim have been lighting the I-League up on fire with their amazing partnership which has given Chennai City some much needed boost in their previous fixtures. 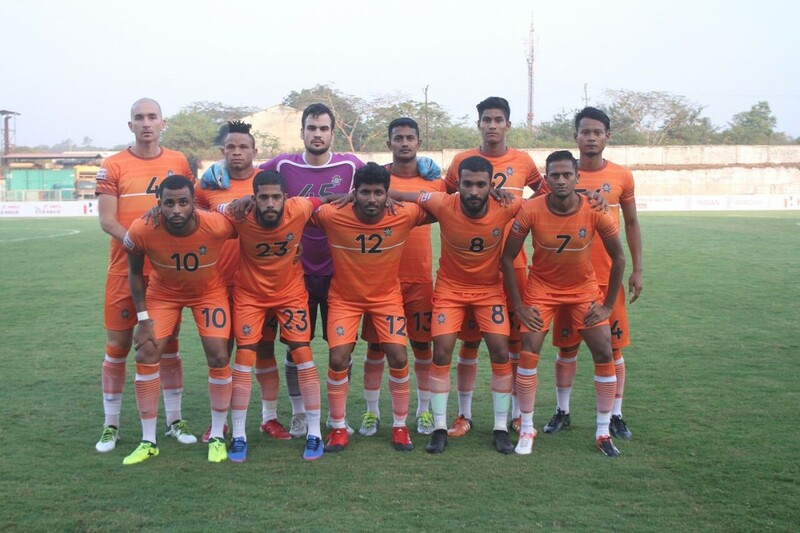 Chennai City have put together a good run leading up to their game against NEROCA and will want to win against the defending champions to help them climb the table. Chennai City have strengthened their squad in all fore fronts and have a better squad than last season and will expect to finish higher up the table this season. Shillong have had the upper hand in the last season’s fixtures against Minerva Punjab. With two wins in two games against them, Shillong will look to maintain that H2H record against Minerva. Shillong play two fixtures in this game week. Shillong will be coming on the back of a game against Indian Arrows and will need to be in good nick if they want to extract a result out of this game against Minerva who have been extremely good this season. Their league positions at the moment are 3rd and 4th respectively and the results in this game week leading up to this game could drastically change both the team’s position in the table. Shillong who are in quite a bit of an inconsistent run at the moment will look to break that against the Arrows and put up a fight against Minerva. Minerva Punjab are yet to face Gokulam Kerala at the time of writing this article and a win against Kerala could see them move up to 2nd position in the league. Chencho has been an amazing buy for the Minerva and he has been propelling their season to what it is at the moment. A win against Shillong, could see them move up to the first position in the league if the results of NEROCA and East Bengal matches go awry. We’re almost halfway into the season and Minerva are still holding onto their form going into the most crucial part of the season. They were never looked upon as contenders when the season began but they have proved everyone wrong and are right up there with the Red & Gold.